Many coursebooks now include some sort of pronunciation exercises or activities. However, they can sometimes be too short, or not very relevant to the learners in your class. On this website I have published different pronunciation worksheets, but maybe they don’t really match with your coursebook or with your learners’ needs. Here, I describe a step by step writing process that I go through to create my worksheets. You can use the same process to design your own worksheets. You can create pronunciation worksheets in any type of teaching context: general, exams, academic, business, etc. Learners in every context need to work on pronunciation intelligibility and their receptive skills. They fill the pronunciation gaps in your coursebook. You can make them to focus on the needs of YOUR learners and not what the coursebook is dictating. In my experience, the learners like to have their worksheet as a reference. You can reuse them again in class. If you use the same course book, you can use them again and again, altering them if you feel that something isn’t working. You are free to use different types of audio: the coursebook recording, Ted talks, YouTube videos, radio recordings, podcasts, or even your own recordings of yourself and your colleagues. Choose your pronunciation objective. To choose the objective, you should choose something that is connected to the language in the lesson in the coursebook. I tend to take the objective from the grammar, vocabulary, speaking, or listening exercises. Think about what your learners need to work on about this particular area to either become more intelligible or to help them understand other speakers. Perhaps they need to practise work stress, or particular sounds that they find difficult, or maybe there are aspects of connected speech that are typical of a grammatical structure that would help them understand natural rapid speech better. Set the context – This connects your worksheet to the topic in the lesson in the coursebook. So if the theme is free time activities, then your worksheet is going to have the same theme. Sometimes I have the theme running through the entire worksheet, but sometimes, if the theme is a bit limiting, I move away from that theme in the Practise section. The most common ways I set the context is by using a short dialogue, monologue, or sometimes, just extracting a number of vocabulary items from the lessons. 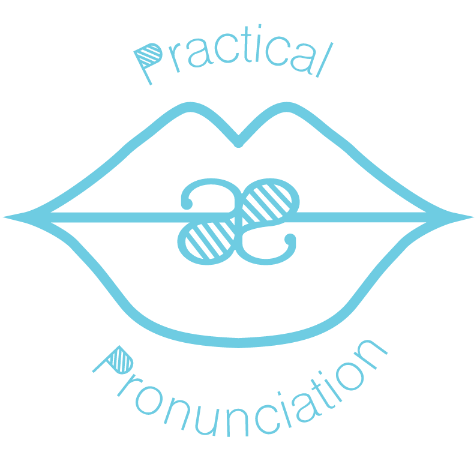 This section is all about guiding your learners to notice what’s happening and the feature of pronunciation. Rather than telling the learners what happens, you help them discover it themselves which helps them develop their decoding skills. It’s important to use audio at this stage to provide a model of the pronunciation feature. The types of thing you can do is to underline key words, ask what they have in common, or listen and notice what is happening, or predict what you think it will sound like, then listen and check. This section is about asking the learners to figure out or highlight tendencies and looking at more examples. Types of exercises you can do include matching, categorising, and completing information boxes and charts. In this final section, the learners get the opportunity to practise the feature. You can have more than one activity here, depending on what it is you want to do.